In some ways, voice acting is even harder than appearing on screen, because you have to get all your emotions across without your physical presence. Who is your favourite voice actor? It could be someone who does radio plays or someone who plays cartoon characters? I have real trouble deciding for this one. There are so many. My four favourites are Mel Blanc (who voiced most of the Looney Tunes Characters), Daws Butler (who voiced many Hanna Barbera characters such as Barney Rubble and Huckleberry Hound), Don Messick (who voiced many Hanna Barbera characters such as Scooby-Doo and Muttley), or June Foray, (who voiced the Looney Tune's Granny, and Witch Hazel). 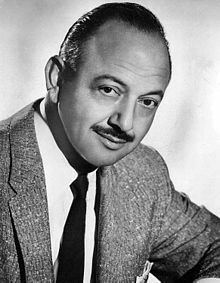 I think I would have to choose Mel Blanc, just because of the sheer variety of different voices he was capable of producing. You would never be able to tell that he was both Bugs Bunny and Daffy Duck. Alan Rickman - sooo dishy. Has he done radio work or voiced characters? James Earl Jones has to be one of the most instantly recognised voices. The Star Wars fans will never forget Darth Vader. He was also in the Lion King as Simba's father Mufasa. 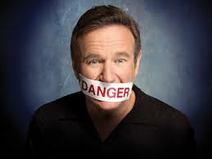 He has narrated in several other films as well. Mel Blanc was a genius. Others are very good, for example Dan Castellaneta who does Homer Simpson, but Mel remains my favourite. He is amazing! full stop.